Shortlisted for the Financial Times & McKinsey Business Book of the Year Award. Richard H. Thaler has spent his career studying the radical notion that the central agents in the economy are humans―predictable, error-prone individuals. Misbehaving is his arresting, frequently hilarious account of the struggle to bring an academic discipline back down to earth―and change the way we think about economics, ourselves, and our world. 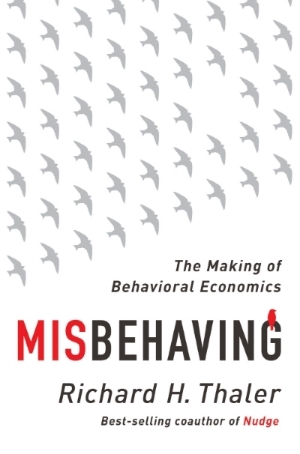 Laced with antic stories of Thaler’s spirited battles with the bastions of traditional economic thinking,Misbehaving is a singular look into profound human foibles. When economics meets psychology, the implications for individuals, managers, and policy makers are both profound and entertaining.